Danish builder X-Yachts is set to debut its new X-35 One Design later this year, but don’t be fooled by the "One Design" label. It&apos;s more than just a 35-foot one-design racer. Like lots of new launches these days, it&apos;s designed to be sporty, easy to sail, and comfortable belowdecks. Strict one-design rules have been established to foster fleet development for those who want to race, but the boat&apos;s well-equipped interior, sturdy construction, clean lines, uncluttered deck, powerful sailplan, and easily driven hull form have a broad appeal. The cockpit centers around a large wheel, and all control lines lead to within reach of the helmsman. 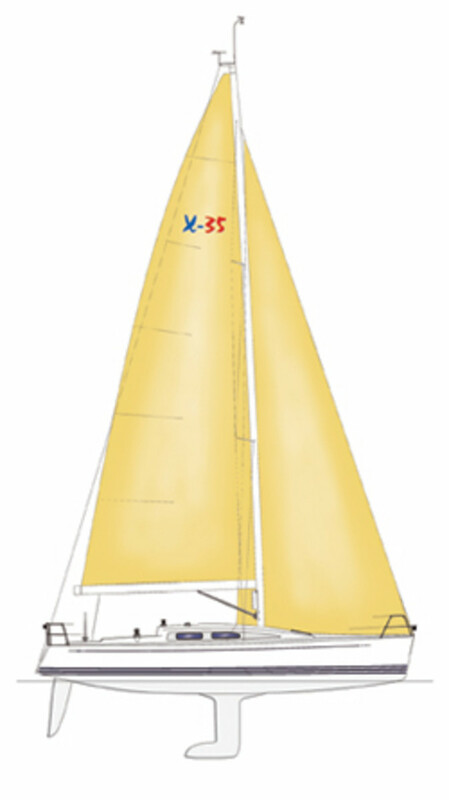 A large main and 108 percent jib provide manageable horsepower under sail.